Those of us who practice medicine are obviously very concerned about providing the best care we can, and when we think of it, we think about maybe caring for someone after a heart attack or when they’re suffering from the flu, those sorts of things, but some of the most important care we can provide is care at the end of life or when there is a severe illness. Hi, I’m Dr. Brian McDonough and welcome to Primary Care Today on ReachMD. Today my guest is Dr. Stephen Goldfine. He’s the Chief Medical Officer of Samaritan Healthcare & Hospice, and we’re going to talk about some of these issues, and we’re going to talk about them hopefully in a way that will deal with the issues that we all face on a daily basis, some of the things we might forget or not think about or maybe just put things into perspective. First of all, Dr. Goldfine, welcome to the program. Thanks for having me. I really appreciate the opportunity to talk to the audience. As a CMO, you get the big picture; you overlook everything. How important is the role of hospice in healthcare? I mean, I know, certainly, we definitely take advantage of it far more often than we used to, but is it still a resource we don’t use enough, and when should we be turning to it? I think that hospice is really a vital resource. As we look at what’s happening in this country, we’re only using hospice in about half the deaths. We’re missing a great deal of patients. The other problem with hospice is that patients get referred very late into the disease process. When I look at my data and my stats nationwide as well as locally, almost 40% of patients get admitted within 7 days of their death, and we’re missing a huge opportunity to provide comfort and support for these families that are struggling and dealing with really serious and life-threatening illness. What are the barriers? Why don’t you think we get to it? Is it the difficult conversations? Why does it take so long? A couple big barriers really are not being comfortable in having these conversations. I think we start the conversations way too late, so we start in the crisis moments. So, for example, you’re in the hospital in the ICU and somebody’s obviously very, very ill, but they have been ill for a very long time. We know that most patients die of chronic illness over a very long period of time. If we look at the deaths in this country, about 2.5 million people die each year, and only about 10% of those patients die suddenly. The rest is from a chronic illness and just really failing to thrive over a long period of time with multiple treatment opportunities. We kind of need to discuss this with these patients early on in the course of the disease, kind of close to a diagnosis, almost normalized in the conversation. For example, cancer patients with stage IV cancer, when they are diagnosed they should have a palliative care consult, and then we can talk about end-of-life issues and issues that affect the family. When we do this, we know that we actually provide a higher level of service for these patients as well as comfort and better quality. What about the role of palliative care? I know that’s being used more and more. Maybe you can talk about that and as a bridge. Palliative care is getting much more popular. It’s really important that, again, we think about palliative care as not being end-of-life care but really being a supportive care for ongoing treatments. So, for example, if I have heart disease or heart failure, if we engage palliative care early in the course of the disease—and our focus is going to be on working on symptom management but also goals of care for that family—the data will show that these patients actually live longer, live better, and cost less. Getting involved in palliative care I think is really important. Again, the barrier to that is we think about palliative care as being end of life, and it really is not. There are a lot of things I could ask, obviously, and talk with you about when we talk about hospice. A little bit about the origin, when did it really start gaining popularity, and was it more or less an informal tool that was used years ago, not as formal as it is now? Really, hospice in this country began in the late ‘70s. I actually had the honor of actually touring St. Christopher’s Hospice, which is in England, which was really the first modern day hospice. I was there about 2 weeks ago, and Dame Cicely Saunders, who was, by the way, a nurse, social worker and a physician, really brought modern-day hospice together. Really, in the very beginning, it was a grass roots organization in the basement of churches helping to support the community. In about 1983, there was a hospice benefit where Medicare started to pay for hospice services, and I think that’s why it really has developed, and it has grown tremendously over the last 30 or 40 years. How did you get involved? Obviously, you’re very interested in it, but what spurred your interest as a provider? I think, like you, I was trained as a family doctor, and I realized early on that family medicine is about taking care of the whole patient, not just the medical complexity. I also was doing a lot of geriatrics, and I realized that if I could provide a direction of comfort and support for those patients, that my patients actually did better in the long run. As that was happening, I became really interested in what’s happening throughout their course of the disease and actually as they age. What I found is a lot of patients go almost abandoned at times. As they were getting sicker and sicker, they were getting more homebound, a lot of nursing homes, and I felt very attracted to that population so that I could really provide that support. I think in medicine we are taught to, above all, bring comfort and health, and I think that’s what we can do in palliative care and hospice. You’re listening to Primary Care Today on ReachMD. I’m your host, Dr. Brian McDonough. My guest today is the Chief Medical Officer of Samaritan Healthcare & Hospice. His name is Dr. Stephen Goldfine. He’s nice enough to join us. Tell me a little bit about what you’re doing that might be different at your facility or things which you may look at as things we can all learn from. Yes, so I think my palliative care program, we really are probably the largest program in South Jersey. We are actually providing consultations in the hospital too—at this point in time, 8 hospitals including Virtua Lourdes and now what is Jefferson—which I think is unusual, and we’re the premiere provider for those hospitals. We also provide outpatient services. We have a clinic as well as doing home visits and palliative care in nursing homes. From a hospice perspective, we actually have really done a lot of work with inpatient hospice. We think about hospice as being a benefit. A very small percentage of patients are so sick they cannot be managed at home and need very aggressive treatments, so we’ve actually opened up a freestanding inpatient hospice unit in Voorhees, which is actually the first in this area and one of the very few in the state. These patients’ length of stay is about 4 ½ to 5 days, and they get treated very aggressively with symptom management. So what you’re doing is you’re looking at different approaches. I’m sure it’s a nationwide audience. Are these things that are happening around the country? Is this, like, beginning to take hold? I think they are, and I think as we see the growth of palliative care, we are struggling with how we can provide services to the patients that we need to get to in terms of reimbursement and actually providers. There is really a large shortage of providers, and so we also have a fellowship program where we actually educate the next generation of palliative care physicians, so education becomes a very important issue for us. A little bit on the personal side as far as those of us when we’re dealing one-on-one with patients, when you bring up the issue of hospice, sometimes it’s... Obviously, we have patients sometimes in the hospital who are very, very sick and we meet with the families, but in other cases, it may not be as simple of a conversation—you’re kind of catching people by surprise. How do you bring up the discussion in your own personal strategy, and what are the most effective ways to do this? I think the important part is being present with that family and that patient. Often times in hospitals and as well as the office we are rushed and we are trying to get to too many places at one time, so spending the time with the family is the first thing, developing that relationship. I think that becomes the biggest issue. The question I find really helpful is I ask the patients, “What do you think is going on? What have the physicians told you about your illness?” And I’m surprised at the answers that I get. Sometimes they understand very well, and sometimes they do not understand. And then we start to educate that family to try to help them understand where they are in their disease process. Often times physicians, because they are not good at prognosis, have a hard time discussing prognosis with the patients. I think we have to get to the point where we use our good medicine, we do diagnostics, we understand what the disease process is. But before we go right on to treatment, we have to stop and say, “Well, what is the goal of care for this patient? What makes sense for this patient?” A patient that you may know well from your office, that’s not a hard conversation, but somebody in the hospital who you don’t know well could be a very difficult conversation. When you don’t know them well, you’re right, that is tough. When we do inpatient medicine, sometimes you pick up someone on the service or someone who’s new, and that’s very tough, but I’ve actually found in some ways dealing with patients who I don’t know is sometimes easier than the ones I have known for quite some time. As a family doctor, you build your relationships, and it just seems a little tougher. As close as you are, it almost is a kind of a barrier because you’ve known them for so long. And I think that’s very true. If you look at the studies of prognostication, the closer you are to the patient the worse you are at prognosis because I think we care. And I think that what I find very comforting in some of that data is that especially, I think, family doctors care tremendously about their patients, and it makes it a very difficult conversation to have. I think that the families really appreciate the conversation from their primary doctor. And when I talk to families about how they feel about that, they really feel that if the doctor opens up the conversation, they feel very relieved that they can talk to their own primary doctor about that. You bring up a lot of interesting points, and one of the things in talking to you—I just thought of, actually, and hadn’t thought of prior to the interview—but for the young doctor, for somebody right out of residency or in residency or just beginning practice, what tips do you have for them, because some of them, this is all so new and all so different? So I think in today’s modern world of electronic medical record, the first thing I always say is, “Put the record down. Sit down with your patient. Look them in the eye. Don’t be afraid to hold their hand, to touch them. It’s okay to be personally engaged with that patient. And when you do that, you develop a very deep relationship with that patient. Don’t talk about the facts as much as the emotion around a case.” So, for example, young doctors are very comfortable with discussing the CAT scan or the blood work, but it really is the fear of the patient or the anxiety of the patient that we have to deal with. I just had a patient today that was dealing with an MRI and very, very concerned about, “What’s happening with my CAT scan?” And I gave her the results, but then I discussed with her how she was feeling about the anxiety associated with this CAT scan result, and we were able to get to a deeper level and manage her symptoms. And thank God the CAT scan looked good, but we were actually able to deal with the emotions. So dealing with emotions is really very important—and then being present. Often times, again, we are running, but really be present in that conversation and allow the patient to have plenty of time to ask questions, as well as silence. If you’re giving bad news to a patient, it’s okay to be silent for a few moments. It’s okay to sit there with that patient and just feel their pain with them. We only have a couple minutes left. I’ve asked a lot of questions. What would you like to talk about that you think is important that we haven’t brought up? I think the important part to your audience is really how do you introduce palliative care to their patients. And the way I do it for myself when I walk into a room is I usually say, “Hi, I’m Dr. Goldfine with palliative care. I’m here to help out with your symptoms but to discuss goals of care so we can make sure that you’re getting the care that you want.” I don’t talk about end of life. I don’t talk about dying, per se. It’s really developing that goal of care for that patient, and I think that becomes a very important skill for family doctors and physicians to do. I think the other thing that I really think is important is that we need to get palliative care involved early in disease processes. We know that a lot of these are chronic diseases. We know that stage IV heart failure or stage IV cancer or COPD, dementia, are all terminal diagnoses. People may not die right away. They may live for years, some even decades, but an involved palliative care team can help that patient live a better life, live a higher quality of life, and really prevent that patient from having tests and procedures that they don’t technically want. Lastly, every patient ought to have an advanced directive or an advanced care plan of some sort, and I think every patient. I think patients that go back into their 20s through their 100s should have some discussion about what their preferences are at end of life and have a prepared document, a living willing or a POLST form to deal with those issues. Dr. Stephen Goldfine, I want to thank you for joining us on Primary Care Today on ReachMD. I really appreciate your time. I think we covered a lot of issues, but it’s an issue we don’t get a lot of time, really, to talk about, and I’m glad we did. I’m so happy to have had this opportunity. Discussing palliative and hospice care can be hard conversations for healthcare providers to have with their patients, but they don’t have to be. 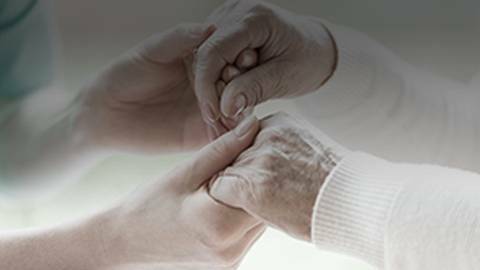 Palliative and hospice care both have very important roles in healthcare, but unfortunately, they are often overlooked as resources. Dr. Brian McDonough is joined by Chief Medical Officer of Samaritan Healthcare & Hospice Dr. Stephen Goldfine, who offers his perspective on the stigma surrounding these two areas of healthcare and recommendations on how to make the conversation easier for you and your patients.